If you know me, you will know that I love me some shimmer, glitter and just general glow. When it comes to highlighter, the more the merrier is my motto, and eyeshadow can have as much shimmer as it pleases. Sometimes, though, just sometimes, I like to embrace the matte approach. In this look I have used just matte products, and entirely skipped on the highlight. Madness, I know. I did quite like it though… it was a nice change, and felt very modern. The stars of the show are the new Naked 2 basics palette (picked it up from Cohorted for a discounted price, score. 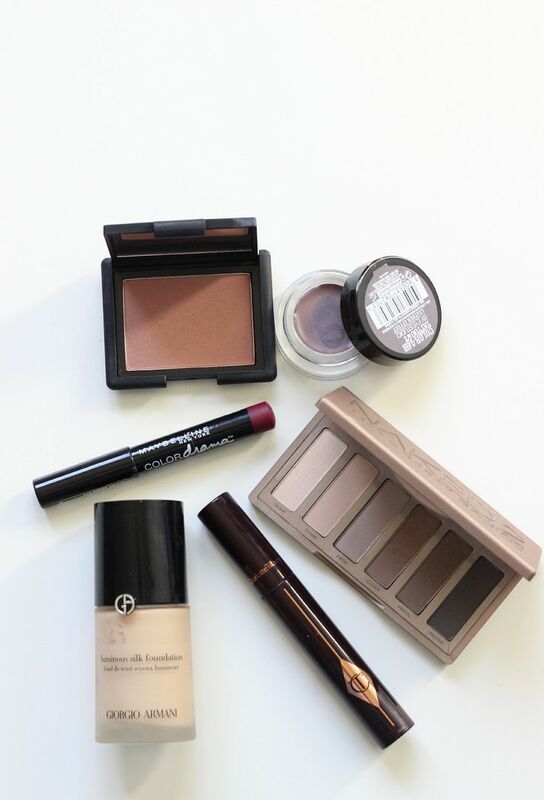 Love that site, they have good stuff every week), and the Maybelline colour drama pencil in Berry much. The new naked basic palette is pretty dreamy – very similar to the previous one, but with some taupier tones. I smeared the Maybelline colour tattoo in vintage plum all over the lid – very nice, by the way, if you like purples that aren’t too purple. It’s nice and wearable, and the formula matches all the others in the range. I used cover and primer on the lid, and enjoyed the cool-toned shade thang I had going on. Base-wise, the Giorgio Armani luminous silk came out to play… love this. In the summer I used it a lot when mixed in with something really sheer, but I wore it all on its own and really enjoyed it. It’s pretty full coverage, and lasts such a long time on the skin. At the end of the day it does cling a bit to dry patches, but I did skip on a moisturising primer in favour of looking matte… Blush wise, I went for NARS douceur, a really pretty natural shade. 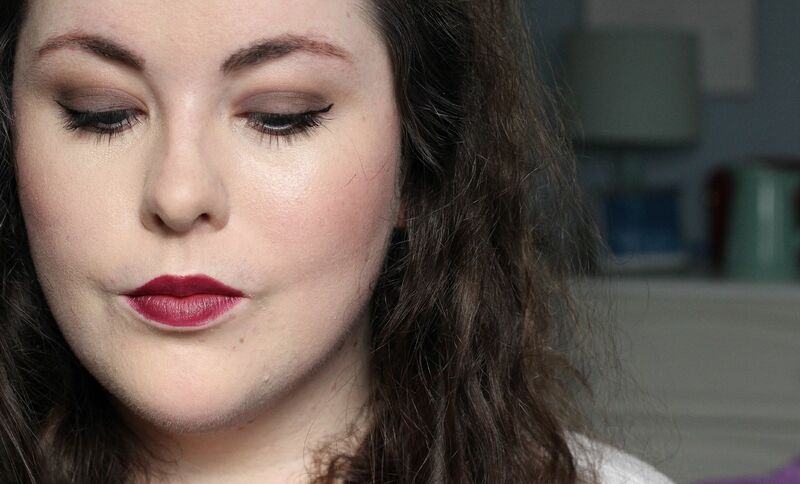 The Maybelline colour drama pencil is pretty impressive for £4.99! Not a dupe for NARS velvet matte pencils, in my opinion, but a nice long-lasting pencil. The only colour that looked good to me was this one, the deep berry shade. Are you a shimmy shimmer lover, or do you like the matte look too?